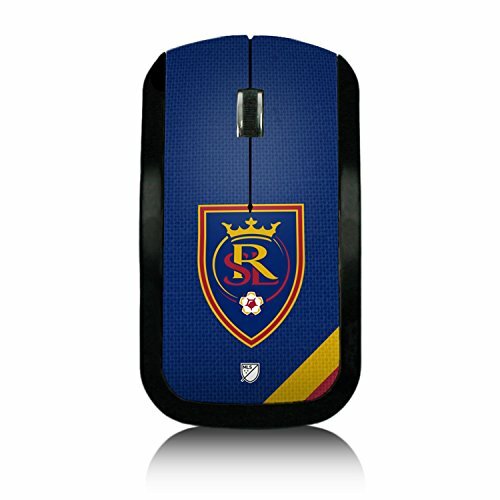 This Real Salt Lake Wireless USB Mouse is a must have for any fan. Smooth and precise, it feels great in your hand. Best of all of it is officially licensed by Real Salt Lake and MLS. Whether you are checking the score or emailing Grandma you can depend on your keyscaper wireless mouse to be there for you. Small enough to fit in your pocket and functional enough for everyday use this bad boy can do it all. Just plug in the nano receiver and you are off and clicking. Designed and printed in Portland, OR, all Keyscaper gear is officially licensed and comes with a one-year warranty against manufacturer's defects. Laser-optical precision for fast accurate clicks.